I've seen many posts saying that there's probably a bug with GW. Lately, the matchmaking has been getting more and more king sofa (rev) bad, I now I'm thinking there's a lot of truth to those posts. Node 3 is almost always easy. It's supposed to be a team below your arena GP, right? Today there's an unbeatable brick wall team on it. This doesn't make any sense. It's like matchmaking goes nuts and picks a team based on your cumulative GP and not just the arena team. Why are we, the players, being ignored by the developers? There's a problem with GW, it needs to be acknowledged and addressed. Prior to early October there weren't teams with 1.5-2x your top 5 chars in GP on any single node. If your top 5 were in the 25k range, your hardest battle GP wise would be about 30K. I do know synergy doesn't count. I do know that things like Zetas do not count. But if the abilites don't count for the opponent Galactic War Power Rating (I made that term up to mean WHATEVER score the GW sytem uses to determine your opponents) they sure as heck don't count for yours. 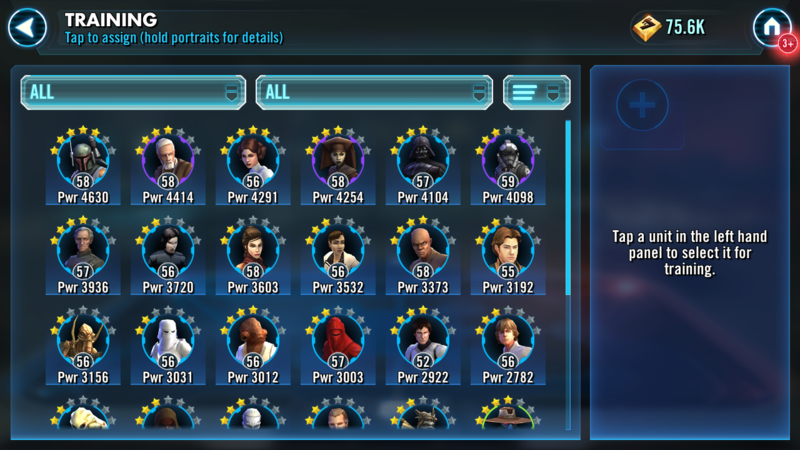 I don't know all the Galactic War Power Rating specifics, but i do know that under ZERO circumstances should a 25K GP top 5 account be facing a team with 50K power on any node in a GW. And I had never seen it happen prior to early October. Until you can see Stat Power again, you can't definitively claim that there's a bug. I believe someone has already logged it at Answers HQ anyway. Well, some players are posting that it's based on arena team and some say that it's based on top 5 chars. I've even seen a quote being posted that made it look like devs themselves said it was based on the highest GP arena win. In my case the two scenarios are the same anyways. But in the end, like the above poster said, it doesn't really matter. There's a problem with GW matchmaking system. It needs to be addressed. Acceptable? The OP is discussing a possible bug in the GW matchmaking. Discussing wether it's acceptable or not is a discussion of the design. A bug would be if the implementation doesn't match the specification/design. Highest arena win? That was the widely accepted theory back in 2016. What's the date of that quote? Latest I had seen was top 5 of your roster, regardless of if they had been used in a squad together. And by my previous comment of acceptable, I am meaning as in acceptable to a properly functioning GW matchmaking system. Answer: It isn't. Since this phenomenon only recently appeared in the beginning of October, we can deduce that it is indeed some kind of error. Having gone thru probably 1000 GWs over several devices and family accounts who play, to not see it ONE time from the time I got in to GW in April of 2018 til the beginning of October would indeed be one hell of a lucky stretch. I have seen it about every other day since then. Usually in battles that aren't usually hard(like 1-5 or 7, and 8). The best way forward is to document those cases with screen shots of both teams and calculations of stat power and then submit it to CG/EA. They’re pretty happy with it, it hasn’t changed that much in the past 3 years despite thousands and thousands of complaints about it lol. The Sim option implemented doesn’t help you since it requires you to complete 150. The difficulty cap at the top end doesn’t affect you either since that only kicks in when you’re 85. That’s pretty much the only 2 changes I know to GW. So yea, unless you can prove that there’s a bug, you can shove your complaints together with the other few thousand complaints in the GW mega thread. Those are the only documented changes to GW. Again, unless I was historically lucky, I made it from April to the time documented in early October without the OP teams showing up on over 1000 GW campaigns(I have several devices, and several family members who play - and nobody saw this until early October)....The complaints on here before that were at least teams in the same ballpark as the one complaining, just OP based on zetas(not counted) or synergy(again not counted). There really is only two options. One it is a bug. Or two it is intentional. The only thing that makes me think it is a bug is going 4-5 months without seeing it - and seeing it at least every other day since on accounts who just got into GW thru level 85 accounts. I tried to consolidate but the thread got watered down with semantic arguments over how we can't determine if the system is broken because we don't know the minutia of how it works. I have posted pics of when this stuff happens hoping we can get a dev to check it out. Not going to hold my breath though. I really wish all these posts from older players would stop already. They're all long time at 85, have been simming for months, and don't have a good idea what the new players are experiencing. I keep seeing some posts like "I went from 50 to 150 without losing" and can't help myself but call that a straight out lie. It's just not possible with the current matchmaking system for players under 85. I didn't do all 150 in a row, but got there pretty easily, especially after I got Bastila. But that was before the issue that plagues us now. I do have other accounts(PC, tablet, phone guest acct, family) that I see regularly that aren't at 150 so it is easy for me to see the issue. Pro tip for those in the 50-60 range. 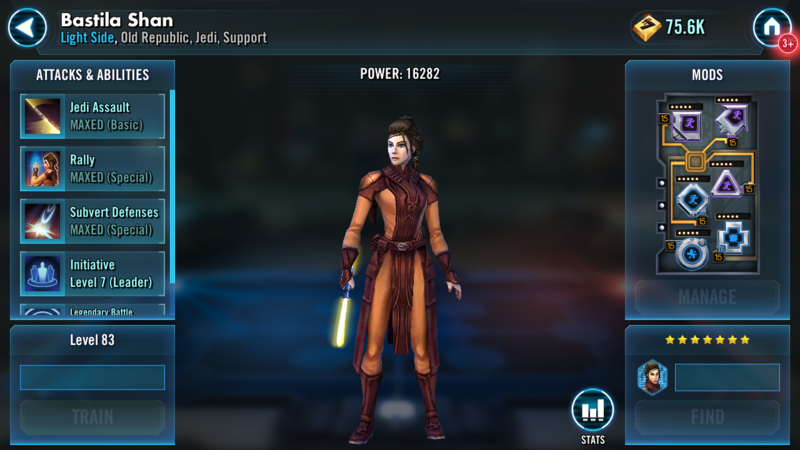 Get Bastila and 4 other Jedi. 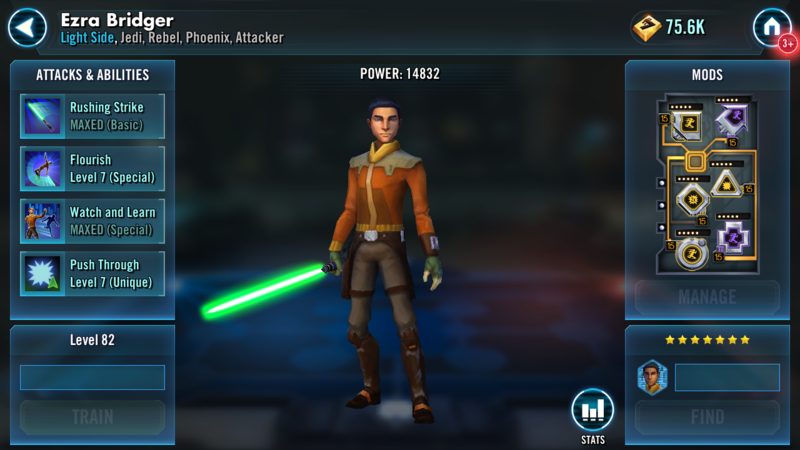 My son has ran into teams that are much higher power then him according to the GW power by node research and has been able to either outright defeat them, or use a lower power team to take out one or two guys, and then finish easily with Bastila Jedi. Empire with Tarkin lead, Vader, Tie Pilot, Snowtrooper, and RG are quite formidable if you keep them up with the rest of your roster(helps to get a couple 10 pack bonus shards from the bronziums on RG and Snow). Think he said they(19k power) beat a team that was almost 30K. Well, only Vader and Tie Pilot survived, but he got thru that battle 9 to go on and complete the war. The goalposts no longer keep moving like they used to. Every team has a counter and by broadening your roster you will get over these hurdles. Eventually. Good luck. Under normal circumstances this would be valid advice. And it still is to a certain extent. 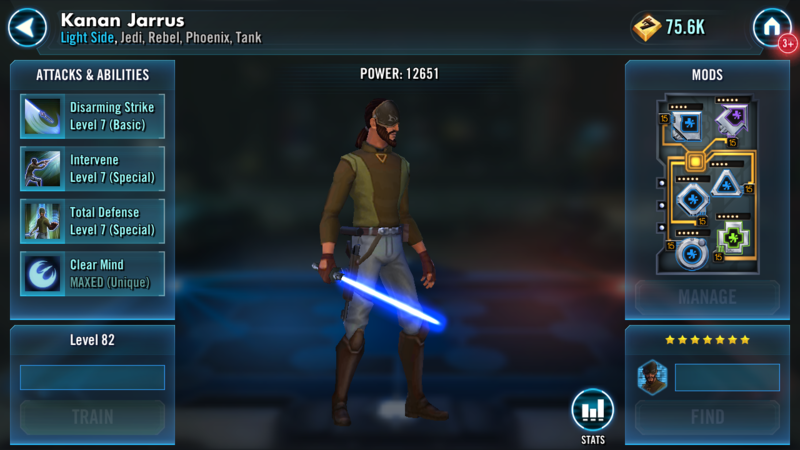 Only question is how do you explain to a new player (or player with an alt account) who just hit GW at level 40 with a top 5 in the 10-11K range having to face a team with 25K GP on battle 7?? That's why I suggested in another thread to just post pics with data and the numbers that are available so it can be seen clearly. I'm getting just as frustrated with some of the complaints (though DeVito has been more helpful than others) that just muddy the waters. Don't need to talk about synergy opponents , as there has never been anything in the algorithm about that. And I guess my only real question is not how the matchmaking system works or what not. It is "Should this opponent be on this GW node for the player account in question?" Now, if it IS supposed to be a level 80 team with 75K GP going against that level 64 guy with 30K GP top 5, we can delve further into that. If those match—ups are intentional / as designed, then it's not a bug seeing them. You may want / request a redesign, but that's not the same thing as a bug fix. OP discusses a possible bug. You have to start to rely on more than just one squad. No other way. There are also many tricks that can help you. You may, or may not know these. I don't mean to insult if you do, but these all help, so worth knowing. Preload best toons with TM in early phases and dont leave their specials on cooldown. Exit and restart if the battle doesnt unfold as needed (you can do this as many times as you like). Try different attack combos next time; the exact same events and turns always happen the same way from the AI unless you change your own choices. That sometimes means you'll end up beating a squad if you choose a less obvious move for yourself making the AI do something different like taunt unstead of attack. Try different slot positions. Have a toon that will counter attack but AI is targeting someone else first? Your mass assist caller always gets picked on and stunned out the blocks? Exit, switch the slot in the squad those toons are in. Use the exact same lineup. The AI usually ends up hitting the toon you might want it to now instead. Likewise, stick a dud in see where the AI hits, restart and move to the correct spot to soak up an early powerful enemy attack or special. If you can't defeat the whole enemy squad, what about the leader. They'll loose their lead ability when you come round for a 2nd pass. 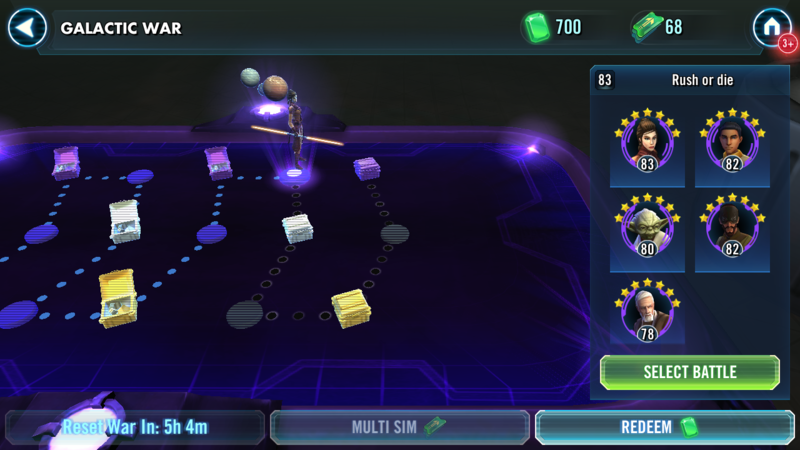 Having toons like wedge/biggs sitting on some TM can make them beat up a leader in a difficult squad opening a way for another squad to push through. Yes, your enemy is stronger. But you have more toons, infinite re-do's and the AI's choices are the same and can be manipulated. one minor issue with your evidence is that the current GP is not relative to the matching. The matching is based on the old power system and the values are very different, and may be numerically closer than we are seeing today. I would have to look back, but there was a post a while back that the devs said was close to the actual system based all on analysis of the power of each team. The basis is that you have a rated power (either top 5 or arena team power, it's not clear since they are usually within the margin of error difference of each other), then nodes are based on % of this value. There are several nodes that are above 100%. GW is it's own mode and has it's own strategy, older players have faced a lot of challenges with this mode and should not be discounted. Many players dont utilize specific strategies that are designed to help you get through it and the rewards it offers are not enough for new players to develop specific to that game mode. I have run an alt account and went through GW, only hitting 85 about 2 months ago. It doesnt seem to have changed at all. Anyone thinking there is a bug, posting and collecting data here, is kind of pointless. This needs to be posted at Answers HQ and all that evidence needs to be there to get it the attention you think it deserves. Yes i am aware of that differences in what data the GW system uses vs what we are able to see. 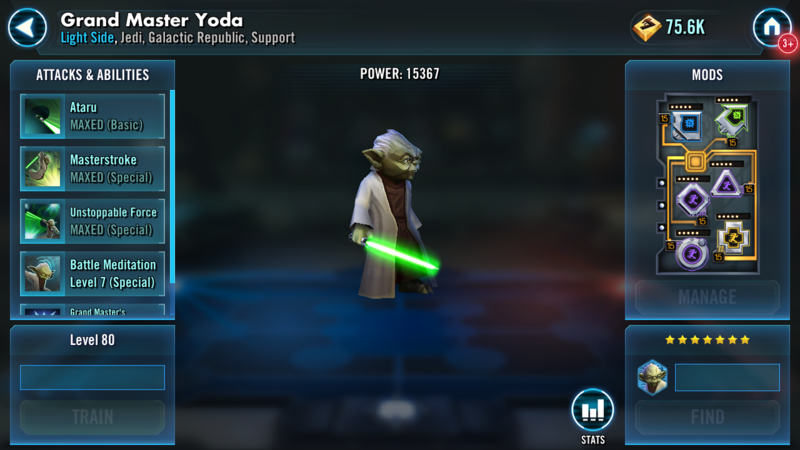 The stat power vs galactic power would in my opinion offer minor percentage in what we can expect to see per node based on the research and what we are actually seeing. When the research says battle 1 is supposed to be 60% of your GP(which is all they had to use to research it) and they got that number over the course of dozens of battle 1 examples, I would assume it is pretty close to accurate. When people are getting teams at battle 1 with 150% the GP of their top 5, I would think something is wrong. I got to level 85 well after your alt account did(early November) and had GW ready to sim when I got there. I got that many completions by doing exactly what you and others suggested earlier regarding strats and squad building. I never saw these supremely overpowered teams until early October. Unfortunately those starting their accounts since this issue started don't have that benefit. They are just hitting brick walls that no amount of squad diversity or focus or what not will solve. It is happening from fresh GW all the way thru to those at 85. I'm seeing it on my main account now but at least if it is insurmountable I have the luxury of hitting sim. My top 5 is 60K now and I am talking about teams 90K+. According to the research, I shouldn't be seeing any teams on any node more than 15% my top 5 power. (node 12 is highest at 15%) Which would max out at about 70K. 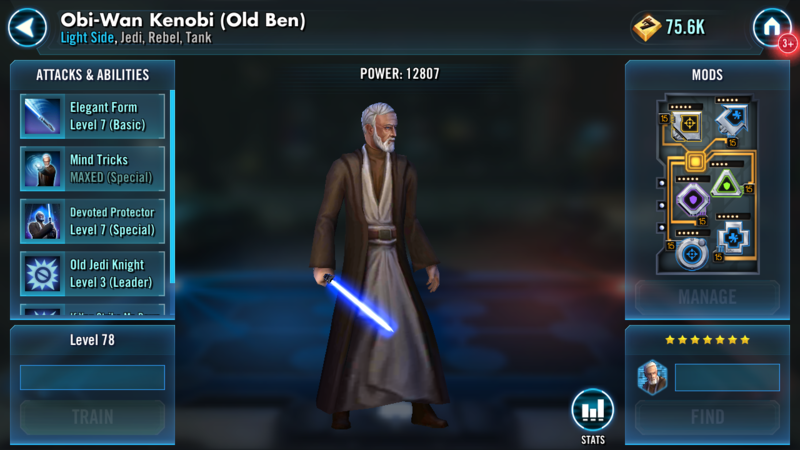 I haven't seen them on node 1 yet but have on nodes 2 all the way thru 12. I have sent this to the Answers HQ. Basing things on assumptions is never a good idea. The power rating system changed drastically and includes factors that were not included before. They are not relative to each other in any way, and that is an issue when you assume they are. Also, please post the link to your Answers HQ post so others can add information there. It will be more effective. or they intentionally changed the algorithm. If what you're saying is true (is there an official post where the Devs have explained this?) then your response is not really a defense of GW working correctly, but rather an identification of what is wrong. Regardless of what the methodology is that is being used, it is broken and needs to be fixed because it is producing match-ups that are completely insane and impossible. That is true whether they are using GP or stat power. I disagree. Unless the Devs intention is to create impossible match-ups for people in GW, then the fact that impossible match-ups are taking place is evidence of a bug... at least in terms of game-play, if not in the actual product of the code as well.